The mahi mahi is grilled until perfectly cooked. 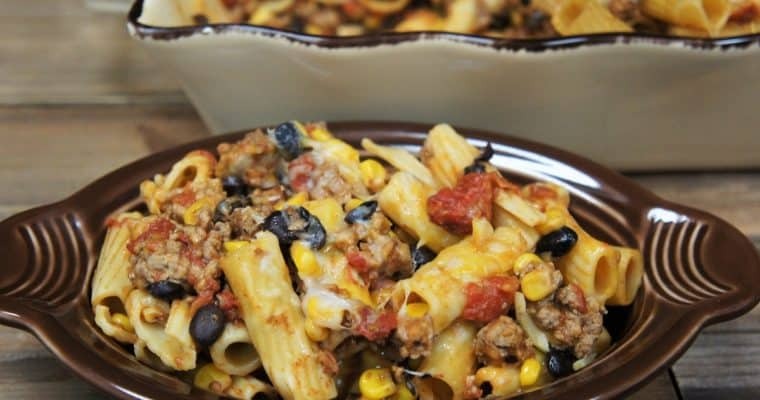 The result is a delicious fish dinner that will please the whole family. As a bonus, the presentation of the mahi-mahi on the cedar plank is beautiful, making it worthy of a special occasion. If you want some more seafood recipe inspiration, check out this cod with tomatoes, which is super easy and done in a few minutes. This grilled shrimp salad, that’s perfect for summer or, for something a little more filling, try this garlic parmesan shrimp pasta. 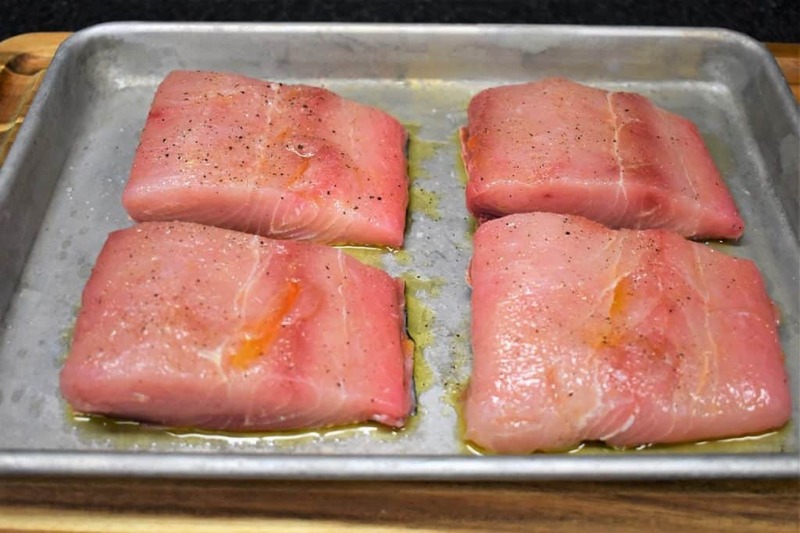 4 Mahi mahi Fillets (approximately 6 oz. each, 1½ pounds total). Our mahi mahi fillets were fresh, not frozen and still had the skin on the bottom. 1-2 Large Navel Oranges, thinly sliced. How many oranges to use will depend on how big the orange is and how many slices you need to top the fish. 1 Large Cedar Plank, the one we used was about 14 inches, or use two smaller ones. Soak the cedar plank for at least one hour, or follow the package directions. We found an easy way to do this. Place the plank in a large baking sheet and fill it with water. Then place something heavy on top to keep the plank from floating. 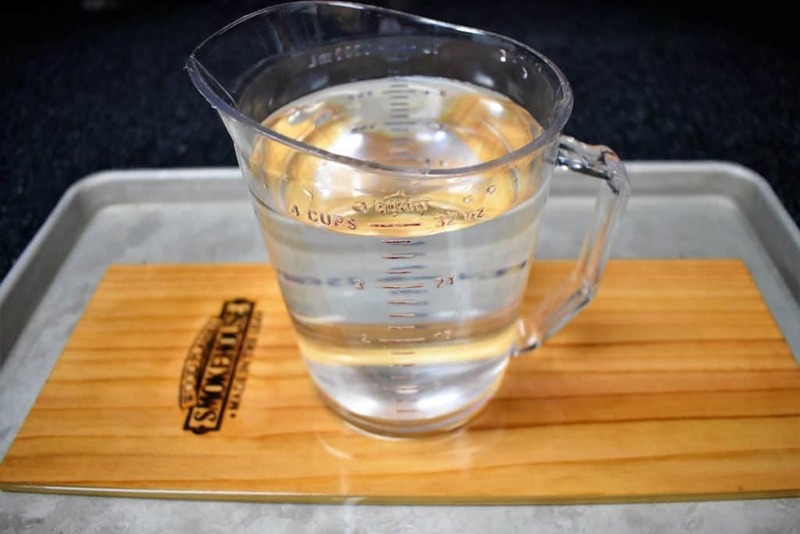 A heavy glass or large measuring cup filled with water works well. Pat the mahi-mahi fillets dry using a paper towel. Place the fish on a pan or plate and brush them generously with olive oil on both sides. We used fish with the skin on, so we only seasoned the top. Season the mahi mahi fillets evenly with the salt, pepper and the garlic powder. Slice the navel orange into thin slices. Place the mahi mahi fillets on the cedar plank, spacing them so that they’re not overlapping. Finally, top the mahi mahi with one or two orange slices. Preheat your grill on low. Place the cedar plank on the preheated grill. We like to use a large baking sheet for easy transport. 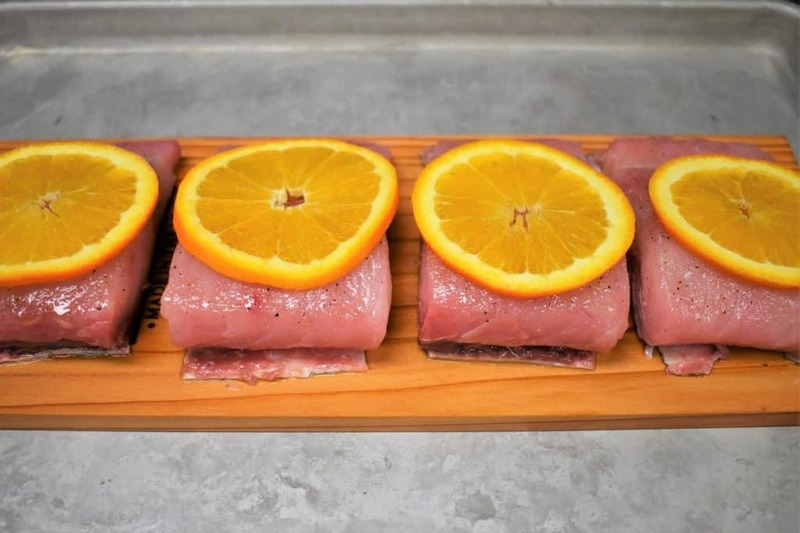 Grill the cedar plank mahi mahi until the internal temperature of the fish reaches at least 137°F to 140°F, on an instant read thermometer and flakes easily when pierced with a fork. Take the temperature of the fish at the thickest part of the largest piece. It took us about 35 minutes and we were working with some pretty thick pieces. The grilling time will depend on the thickness of the fish fillets and the temperature of the grill. Just keep an eye on them and take the temperature after 20 minutes and gauge from there. Serve the mahi mahi and enjoy! 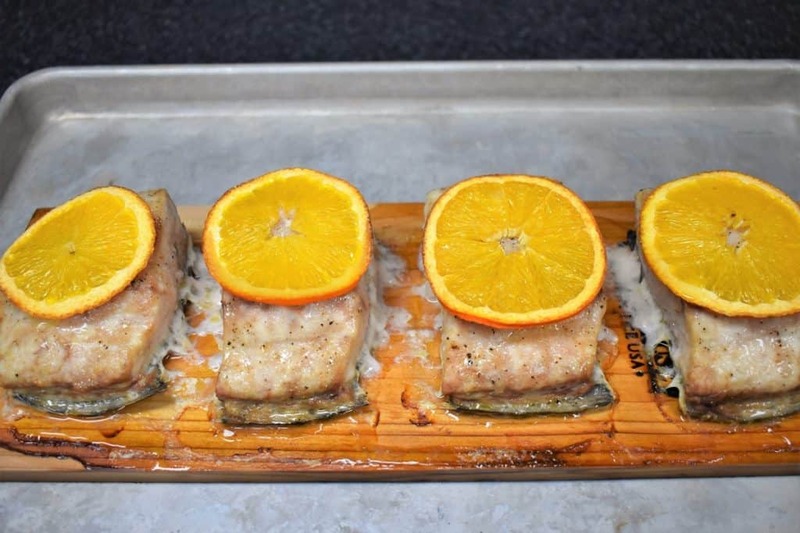 This cedar plank mahi mahi recipe is easy and delicious. 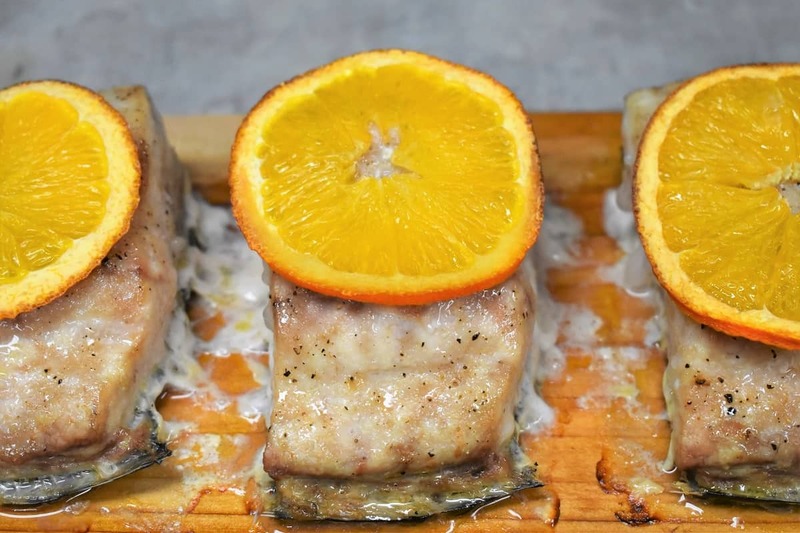 The mahi-mahi gets flavor from the cedar plank on the bottom and from the sweet orange slices on top. 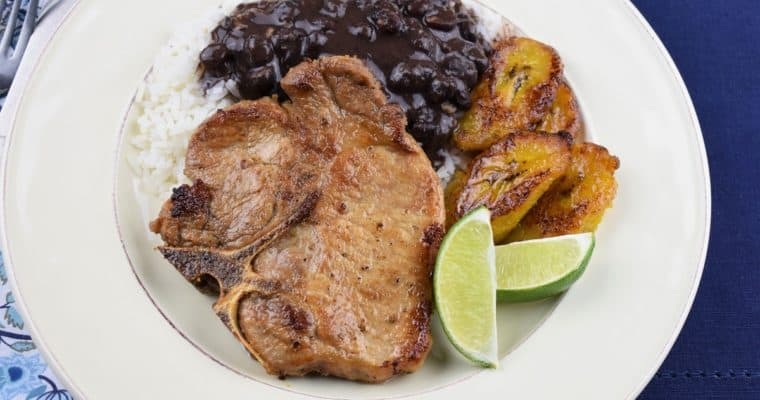 1½ pounds Mahi mahi Fillets 4 pieces approximately 6 oz. each. 1-2 Large Navel Oranges thinly sliced. Pat the mahi-mahi fillets dry using a paper towel. Place the fish on a pan or plate and brush them generously with olive oil on both sides. 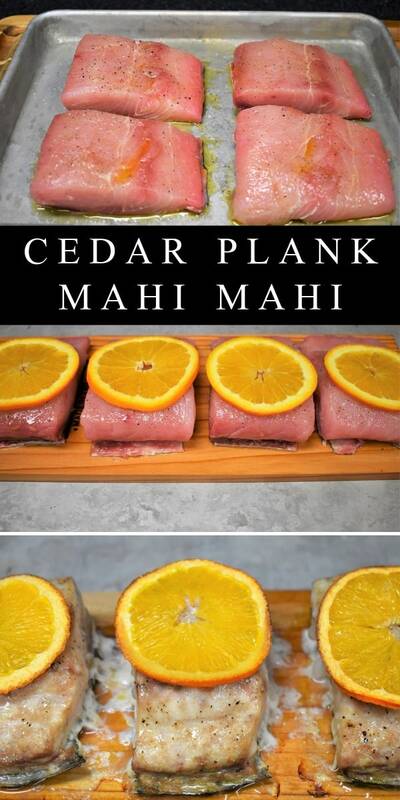 Place the mahi mahi fillets on the cedar plank, spacing them so that they’re not overlapping. 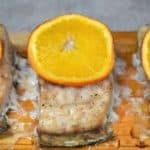 Top the mahi mahi with one or two orange slices. Preheat your grill on low. Place the cedar plank on the preheated grill. Take the temperature of the fish at the thickest part of the largest piece. It should take approximately 35 minutes, depending on the thickness of the fish.